Heat a grill or grill pan over medium-high. Clean and lightly oil hot grill. Grill corn, turning occasionally, until kernels are tender and charred in spots, about 20 minutes. Meanwhile, in a small bowl, combine sour cream, lime juice, cayenne pepper and chili powder; season with salt and pepper. Cut off tips of corn and stand in a wide, shallow bowl. With a sharp knife, cut kernels off cobs. 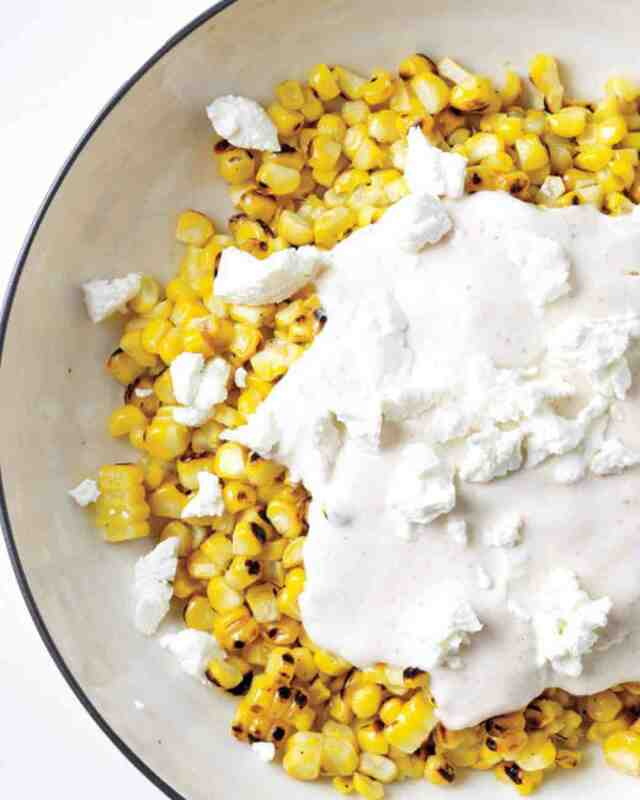 To serve, top with sour cream mixture and cotija or goat cheese. Serve warm or at room temperature.